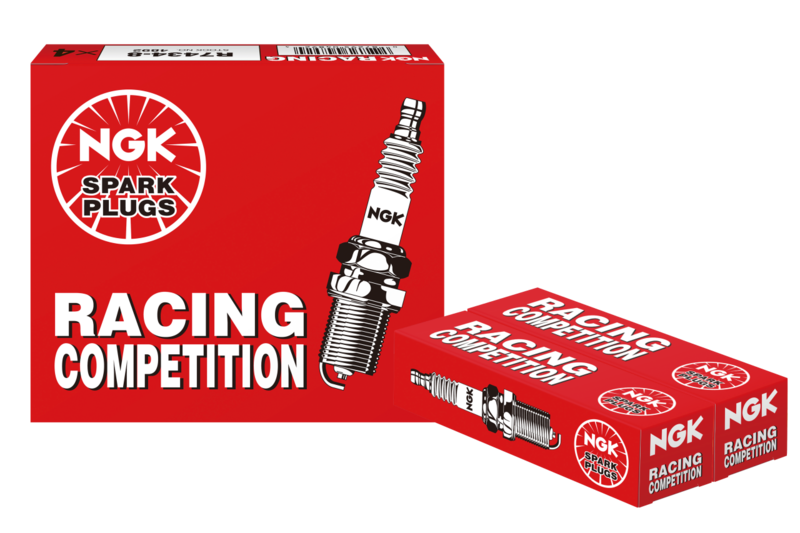 NGK Spark Plugs is one of the leading OE suppliers and manufacturers of spark plugs in the industry, offering a wide range of products. Part of the manufacturer’s line-up are three racing spark plugs. These differ from standard plugs in both appearance, performance, and often service life. Compared to standard versions, racing plugs sacrifice plug life and efficiency at low speeds to maximize performance and durability in demanding racing situations. Throttle response is also improved. Racing spark plugs utilize fine wire electrodes to provide better sparkling and enhanced ignitability. It has a lower voltage requirement compared to a standard plug. First up is an oblique electrode type racing spark plug. It offers superior performance in turbocharged engines with power boosts of 50 percent or more. The short ground electrode is highly durable against mechanical shock. NGK’s semi-surface discharge type prevents insulator crackling and electrode melting. This classification, however, sacrifices service life and performance at low speeds. The projected type is like a standard plug electrode, leading to good overall performance in lightly tuned and naturally aspirated engines. Its similarity to standard plugs brings about positive performance in the low and medium range in turbo engines.